Whistleblower Chelsea Manning has been denied entry into Canada due to her conviction for passing classified US intelligence documents to WikiLeaks. The former US soldier was court-martialed over the incident and in 2013 sentenced to 35 years in prison for disclosing sensitive information to WikiLeaks. The tranche of data included footage of a US Apache helicopter strike which killed two Reuters staff in Iraq, as well as diplomatic cables. The document reveals how Manning disclosed her conviction under the US Espionage Act to the Immigration, Refugees and Citizenship Canada department before her travel plans through a Quebec border post were blocked by the authority. “If committed in Canada, this offence would equate to an indictable offence, namely treason,” the document from Canadian immigration officials stated. Manning told followers on social media that she would challenge the decision. 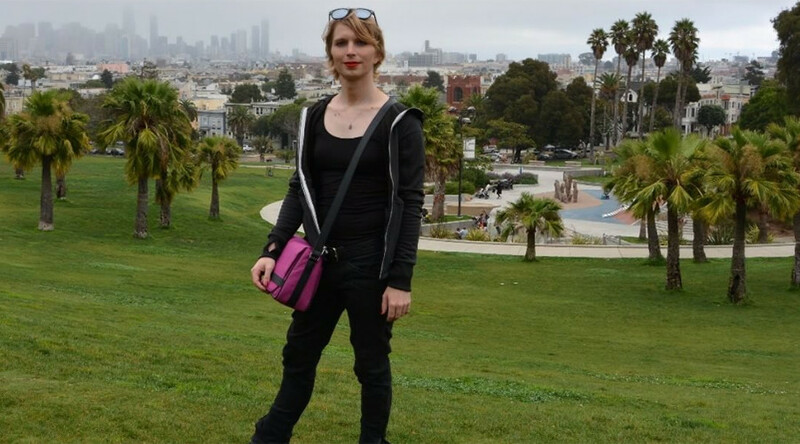 Since being released earlier this year, Manning has posted many updates online, showing herself since she was released from custody. just hanging out at times square, with @abc jumbotron for @jujuchangabc interview - very meta, huh? However, one thing the former US intelligence analyst won’t be able to do anytime soon is travel to Canada. Manning’s travel blow follows a knock-back from Harvard University, which earlier this month withdrew a visiting fellowship title for the whistleblower. The withdrawal came after CIA director Mike Pompeo suggested the offer made light of Manning’s conviction. “Ms Manning betrayed her country and was found guilty of 17 serious crimes for leaking classified information,” he said.